The second time I met Guo Jian was on my second journey to China. I was three days into my trip. I had arranged to meet my friend Traci at a local folk music bar and she felt like a beacon in my fog. I didn’t really know why I had come back. There was some sort of invisible magnetism that had drawn me back to Beijing and I couldn’t explain it properly to anyone, least of all myself. The bar (疆进酒 Jiang Jin Jiu) was next to the drum and bell towers. They are located right at the northern end of the central axis of Beijing’s central city. They were used to announce the time during the last three dynasties, right up until 1924. They were the official timepieces of China, in fact. When we walked into the dimly lit bar, she immediately called out a greeting to friends. Traci seemed to know every musician in the city and so we found ourselves seated at one end of a long wooden table with a local band that had just returned from a tour. There were three scruffy guys and beers on offer. It was good to have a few beers. I’m a cheap drunk at the best of times and so I was feeling warm and included within a few gulps. Traci was translating. Within ten minutes, two more guys rolled in laughing and joking, the last two members of the band. And there he was: Dimple Boy. They were introduced and he nodded at me with recognition and then he left his four other band mates and disappeared to the opposite end of the long wooden table where he joined some other friends of his. We didn’t speak all night. I sort of forgot he was even there. For me, Dimple Boy had been just a previous acknowledgement of the rare attraction I have for men, especially pretty men! Nothing more. Which brings me to this: I have a problem understanding straight signals. I don’t get it. I didn’t spend my early adulthood being socialized in a heterosexual world. I grew up in a subculture and that will always frame how I view social interactions. I often have no idea when a man is flirting with me or finds me attractive. It’s a complete mystery to me! Traci was translating for my paltry Chinese and even with the translation I still kept missing the fact that one of the scruffy guys we were sitting with was flirting with me. I did notice, eventually, but only because Traci impersonated his raised eyebrows and the fluttery spark in his eye after he had asked me a question. It took seeing a woman flirting with me in mocking, delayed duplication for me to realize that a man was flirting with me in real time. I was truly repulsed. Not only was I not attracted to him in the least, but I had been sitting with these guys as a fellow musician and I admittedly sometimes forget my gender when I’m in that context. I felt myself rushed with anger at being demoted from colleague to sexual object. I know it’s not so black and white, but add to the repulsion the fact that Traci had mentioned in English that she knew this guy’s wife. Yuck. She saw me visibly recoil (oops!) and suggested I play some music. It was sort of an open jam and the place had about twenty people in it, scattered about. There was a guitar leaning against the chair on the stage that had just become empty. Thanks to the beer and the focus I was pouring into trying to understand the language, I hadn’t really been paying attention to the previous guy who had been yelping and hammering the guitar but was now too drunk to continue. The gross, flirty guy at our table seconded Traci’s suggestion and he raised his eyebrows at me again. I think I may have lunged those five steps to the stage to pick up the communal guitar just to get away from him. Traci moved up closer to an empty front table and I laughingly stated the fact that I had 喝多了 (he duo le： ”drank too much“) and she quipped back 没问题 （mei wenti： “no problem”) and then added, 我们也是！ (women ye shi：“so have we!”) while turning her head so that the guys at our end of the long table could hear. They all laughed. I played three songs. She watched intently and smiled and sang along to the ones she remembered from my first trip. The guys at the back table paid partial attention as well. I noticed that Dimple Boy also sat down to listen at a table behind Traci’s, further back and to the left, alone and in the shadows. I wondered why he had broken off from socializing with his friends and thought it was weird that he didn’t join Traci, a person he obviously knew. I actually thought, “Why’s Dimple Boy being so antisocial? Is my music too jarring to him to remain in conversation?” And then I didn’t think of him again. I didn’t even notice him leave. Heading back to my rented room that night I felt a sense of purpose, connection, promise. I had made musical connections. I had had a chance to actually play for some musicians and prove that I could be one of them. I had a friend in the city. I felt like I was on the right path after all. I had found a central axis. The timing was perfect. It was like a bell had tolled. The bells in the drum towers are made of thick metal. 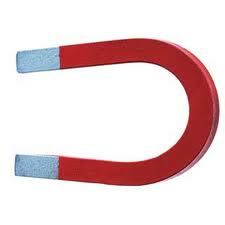 Maybe I was the magnet.